Find Knightdale, NC New Homes for sale. View Photos, Maps and MLS Data Now! Rockbridge - Lots of upgrades, buyer can make changes to selections! MLS#2250215. 835. Poplar Creek Village - 3 add'l bedrooms, hall bath & Bonus Room. Incentives! MLS#2249841. 2714. Upstairs Bonus & Guest Suite w/Full Bath! MLS#2249108. 1128. Walk to Knightdale Station Park, dog parks, playground, YMCA pools, nature areas, downtown shops via trails/sidewalks. MLS#2249228. 946. Large Upstairs Bonus or Teen Suite! MLS#2249090. 1128. FamRoom: Hardwoods, Cstm Srrnd Gas Log Fireplace w/Mantle, & Triple Window! Large Upstairs Bonus Room! MLS#2249144. 1128. Poplar Creek Village - Hardwoods on LL! Hardwood stairs! INCENTIVES! ! MLS#2249293. 2714. Rockbridge - Two additional bedrooms and a spacious loft are located on the second floor. Screened Patio, Spacious Corner Lot! ! MLS#2248953. 835. Family Room: Vaulted Ceilng w/CeilngFan, Moasic Tile Srrnd Fireplace w/CstmMantle! MLS#2248772. 1128. Poplar Creek Village - Crown & Hardwoods on LL public areas & Hardwood stairs. Incentives! MLS#2247068. 2714. 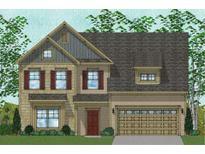 Poplar Creek Village - 5 bedrooms, 3.5 bath + bonus. INCENTIVES thru 4/30/19. MLS#2246937. 2714. Poplar Creek Village - Great location only mins. to 64/540/40/440! Incentives! ! MLS#2246574. 2714. 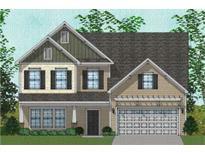 Knightdale - Stunning designer options with tons of upgrades! MLS#2245326. 2527. Knightdale - Huge oversized gourmet kitchen with walk-in pantry, two toned cabinets, upgraded granite, all appliances included, Nuvo streaming speaker package, first floor study with W.I.C., enclosed media room/bedroom, screened in porch with grilling deck & more! ! MLS#2245345. 2527. Rockbridge - Upstairs you’ll find an extended owner's suite that includes a bath and shower next to Walk in Closet. MLS#2245427. 835.